Finally, the most requested band throughout our history during all these years will finally be in Viveiro. 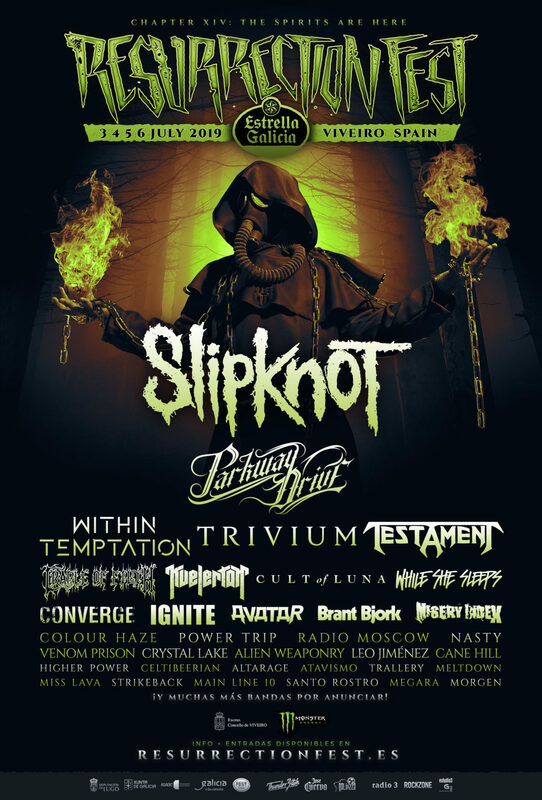 We have been trying to get them year after year, negotiations have taken years, but finally after a decade without coming to Spain, Slipknot will headline Resurrection Fest Estrella Galicia 2019! Corey Taylor and friends are one of the main metal bands in the world and will return next year with a new album. They will play all their greatest hits and will have a full production concert, promising to be one of the most brutal concerts we have ever seen at the festival. We can’t wait! There are still many more surprises and bands to announce for next year, and so far you can see it looks this good. We remind you that there are tickets for sale on our website and soon we will give you more news we know you will love. We hope you like it! Once again, we will see you at Viveiro in the best week of the year, at the Resurrection Fest Estrella Galicia!